Have you ever imagined that you can launch your own website in just 2 days? It doesn’t matter what business you own and what kind of a website you need, because you do not have to wait for a long time while your custom webpage is being designed by professionals. The easiest way to get a website in 2 days is to use Weblium. Weblium is an advanced website builder that involves professionals who will create a website according to your requirements. All you need to do is to follow several simple steps. Select a template that suits your industry/business best. Weblium Studio can adjust any template used for creating websites, so your webpage will look different from the theme that was used as its basis. Buy the annual Weblium subscription for $126 at templatemonster.com. In such a way, you will be able to save $399 on the website setup (if you are a user of TemplateMonster, this option is free for you). Moreover, you’ll get free hosting, SSL certificate, access to the intuitive editor, free customer support, and free domain name (.org, .net, .com, and other zones priced $25 or less) with the subscription. Fill in a brief and get contacted by phone/message by your personal accountant manager to explicate any details. After all the details about the look and functionality of your website are clarified, wait for 1-2 days to get the first site review. When everything that needs fixing has been corrected, you get your own account at Weblium and your site is transferred there. Afterwards, you are able to control and edit your website yourself, adding necessary information, applying any changes, etc. What are the advantages and disadvantages of Weblium? 1. Weblium is an advanced do-it-for-me website builder. This means that a team of professionals will create your website quickly, taking into consideration all your requirements. Moreover, your website will look unique. 1. You have to find a template that will serve as a basis for your own website. You will have to look through different themes to know what they provide and what you want to get before your website is created in Weblium. You do not need to have any coding skills, as the drag-and-drop builder allows you to easily manage your site on your own. Choose blocks and elements that you wish to edit, and improve the look of your website when you need it. 2. Weblium is not free. It is necessary to choose a subscription for using Weblium-built websites. Due to numerous built-in apps, your site will be characterized by increased efficiency. You can be sure that your website will get a solid online presence among other webpages of the similar type, as the sites are created regarding all tendencies in a particular market niche. Weblium builder optimizes websites and guarantees fast speed and perfect look of your website on various devices. As you can understand, all Weblium webpages are based on templates specific for a niche, and they come out as a result of extensive market research and analysis. This ensures that the theme includes the most important pages, blocks and elements designed to meet the demands of different businesses. 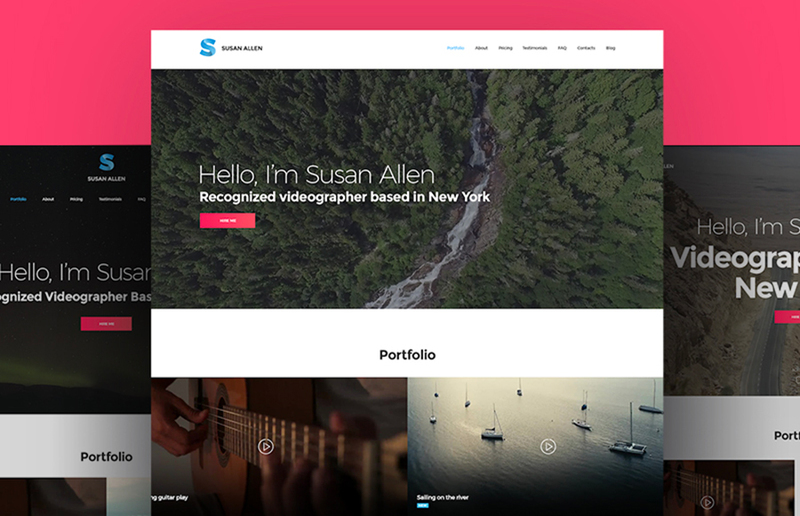 Weblium Studio will totally adjust the theme that you choose to create a website of a unique look. If you opt for Weblium templates, you receive 30 days of subscription and free professional site setup. Don’t waste your time and have a look at the top 5 Weblium templates. With this amazing template you get 30 pages with 113 blocks that include 3 layouts each to build your website. The site is fast and fully responsive, including numerous apps to ensure its effectiveness. You will also benefit from free unlimited storage to save your data and an incredible collection of free images to enhance your brand’s identity. 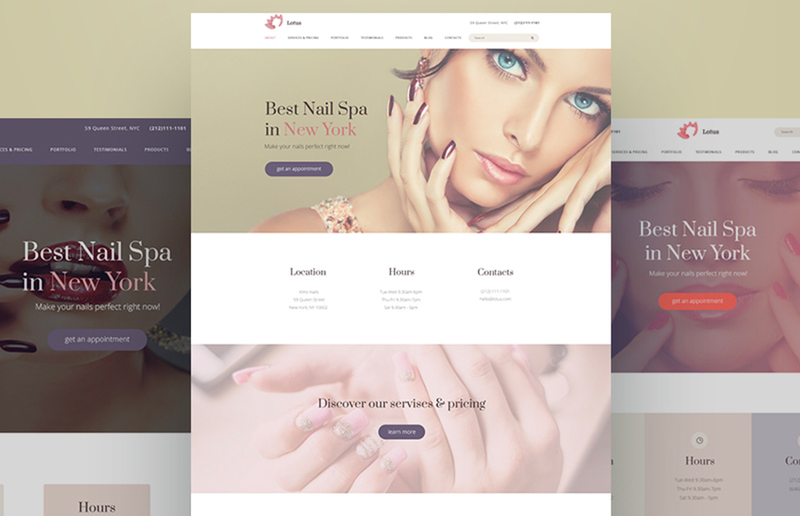 This beautiful and tender template will be ideal for creating a website for a beauty or nail salon. You can choose form 16 pages with 39 blocks and 3 layouts for each block included in this template, and with an almost unlimited image library and numerous built-in apps your site will both look astonishing and function effectively. Moreover, all your preferences and requirements will be taken into consideration when experts will help you with creating your webpage. 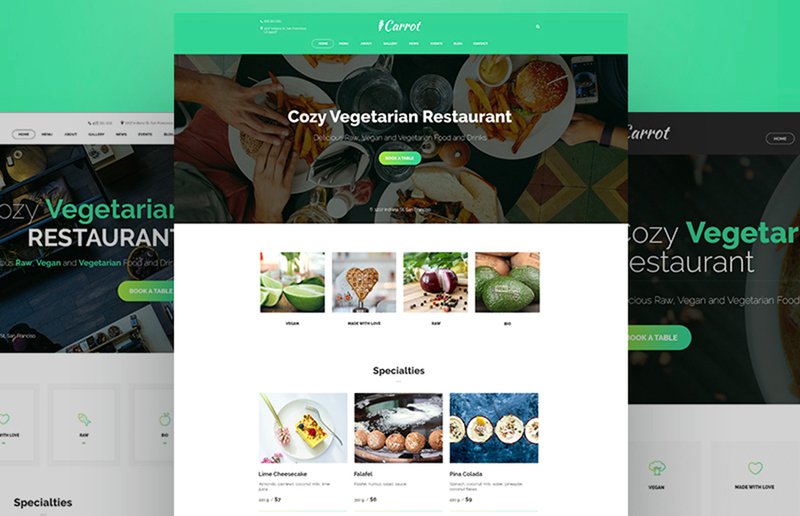 Being perfect for launching a website for a café or a restaurant, this template includes various blocks and layouts to guarantee you excellent experience. Present your specialties and special offers, tell your customers about your eatery and your staff, and enjoy the experience of running an efficient website. 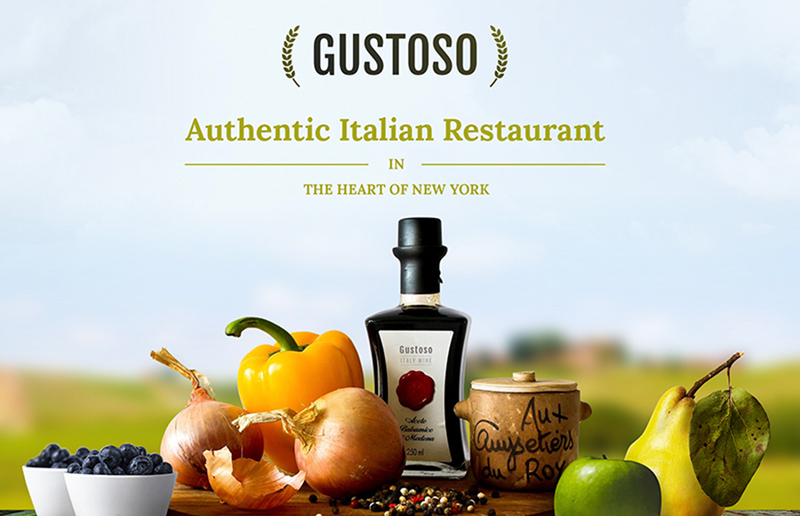 If you want to create a website of a small local restaurant, this template will suit you perfectly, as it is based on Italian restaurant template and includes 15 pages and 57 blocks with 3 layouts for each block. Designed in cooperation with restaurant owners, this template will provide you with numerous elements needed by your business niche. Not only will you be helped by web professionals, but also you will be amazed by the possibility to use more than 200,000 free images and built-in apps to increase your site’s functionality. Creating a videographer’s portfolio and presenting your production services is a question of several minutes with this incredible template, as it is equipped with numerous blocks and layouts to showcase your works to the best advantage. Include your works, post information in a blog, set your prices and attract new clients easily. All in all, launching a website for any business has become an easy and enjoyable experience with Weblium. 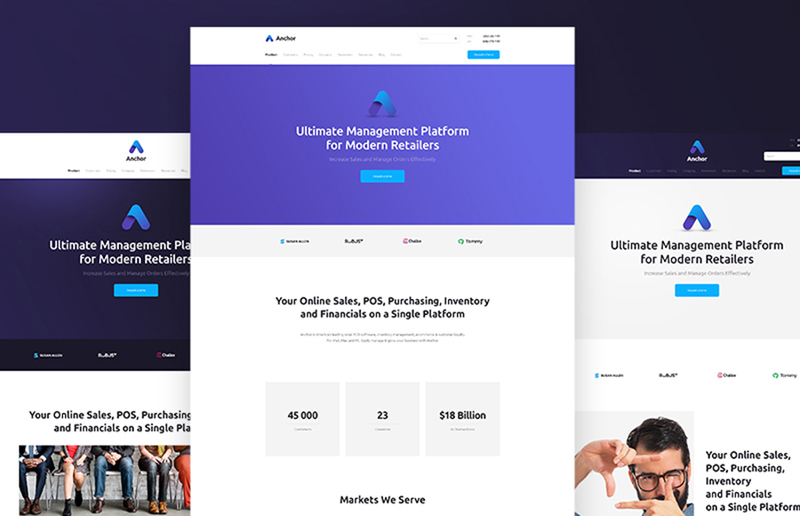 Explore different collections of Weblium templates, imagine your ideal website, choose an appropriate subscription, and get your site functioning in two days.